Have you, like me wondered how Dame Elizabeth Anionwu can have achieved so much as a nurse, educator, political and sickle cell activist? And remained so positive, non-embittered despite so many setbacks and with such a good sense of humour? Her book of memoirs (published in 2016 by ELIZAN Publishing ISBN 978-0-9955268-0-9) will give you some idea. This memoir takes us from her conception all the way to the present day. Her mother, Mary Furlong, from a conservative Catholic working class family, was an exceptionally bright student who went to Cambridge University in 1946 to study classics. There she met a charismatic Nigerian student Lawrence Odiatu Victor and the inevitable happened. She became pregnant with Elizabeth. It doesn’t take much imagination or knowledge of social mores in the 1940’s to realise what happened next. 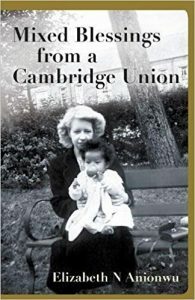 Mary gave up her hard earned Cambridge University place, no marriage was forthcoming with Lawrence, and the Furlong family and the Catholic church found it hard to come to terms with the reality of a ‘brown baby’. However Elizabeth’s mother and her family did evidently care a lot for her even if the grandparents pretended that they were fostering an unrelated child. Consequently Elizabeth spent time in a children’s home, was looked after for a few years by her grandparents, and then went back to live with her mother where she was physically abused by her stepfather. Despite all this she maintained her sense of self and achieved her dream to become a nurse and ultimately a Professor of Nursing. Being at University at the end of the 1960’s meant that she was part of the heady days of student politics and in the early 1970’s visited the USA which expanded her views on life and politics. 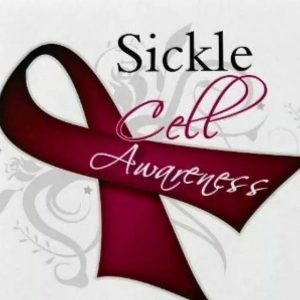 It was also at this time that she learnt about sickle cell anaemia, which was a major political and public health issue in the USA. She has been involved with promoting the cause of families affected with sickle cell anaemia ever since. Perhaps unsurprisingly she was also inspired by the life of Mary Seacole who against all odds (she was also of mixed white/black parentage) supported service personnel on the Crimea, but her memory was subsequently eclipsed by Florence Nightingale. Elizabeth was instrumental in getting a statue erected at St Thomas’ Hospital in 2016 in her memory and recognition of her legacy. Elizabeth was award a CBE (Commander of the British Empire), so is now a Dame as well as a Doctor. One of her friends suggested that CBE also stands for Cool, Black and Exceptional. I agree! Do read her book.